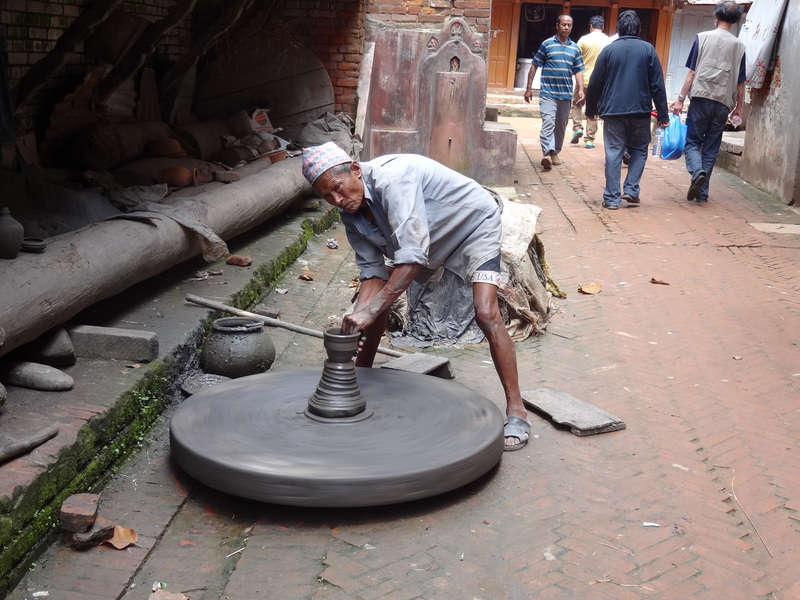 A potter operating a manual stone wheel in Pottery Square, Bhaktapur, Nepal. Everything is handmade there. 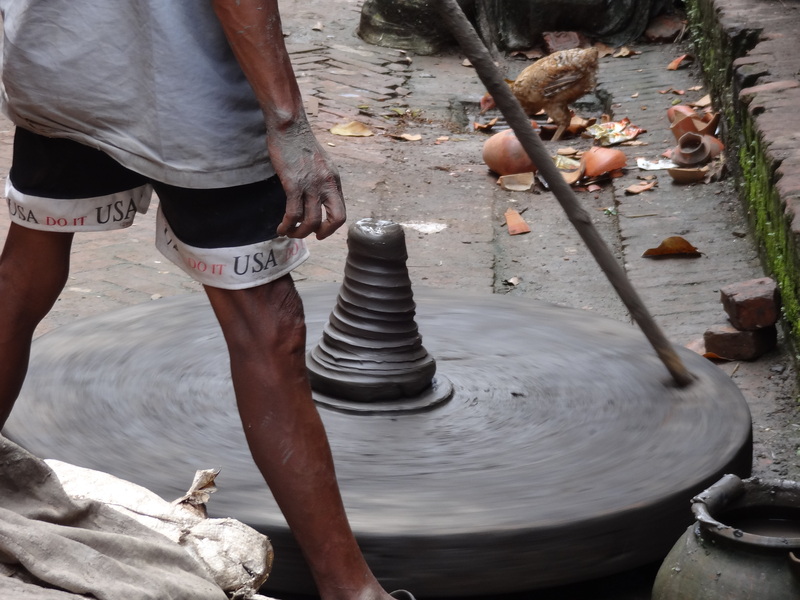 You can see the whole medieval pottery process in action. See here for the original post.